Trying to maintain work-life balance? In the midst of it all, don’t forget that while the challenging situations will continue, you need to focus on your health and personal fitness journey too. And if you’re looking for your daily dose of motivation and support, then join the adidas Runners, that includes a group of young, empowered women – who are both passionate about running as well as inspiring figures in their own right. You can also be updated and attend the weekly adidas Runners’ sessions that occur in different parts of the city, and you can also head to Mumbai for the upcoming IDBI Federal Life Insurance Mumbai Half Marathon. A confluence of inspiration and an ode to the indomitable spirit of women, join in this movement to achieve your own goals. Since the onus of your well-being is dependent on you, you can learn more from the strong women from different walks of life, including Saiyami Kher, Ayesha Billimoria, Devika Patel, Freishia Bomanbehram and more. Get ready and prepare for the IDBI Federal Life Insurance Mumbai Half Marathon by following these ladies on their social media profiles, as they give out regular training regimens. Once at the event, you’ll be interacting with regular adidas runners who’ll be able to provide insight and encouragement for you to pursue your goal. With Saiyami taking up the challenge and a host of women from different walks of life joining in, train under their guidance and support for added benefit. For Devika, Chief Business Officer and Chief Creative Officer, The Wedding Brigade and a popular blogger as well, the tribe signifies a fantastic opportunity to work, learn and grow with amazing people from the fitness world and other young women like her. Even though she agrees it’s challenging to stay disciplined, this group motivates her to work on her physical limitations and mental resolve. Freisha’s focus on health and fitness has become an intrinsic part of her life and with growing opportunities to explore different fitness activities, the tribe offers her a unique challenge to train for the marathon and make running part of her exercise regimen. Want to join the marathon too? It’s being hosted on August 20, which includes a 10k & HM and you can register for right away. Great, How Can I Join? 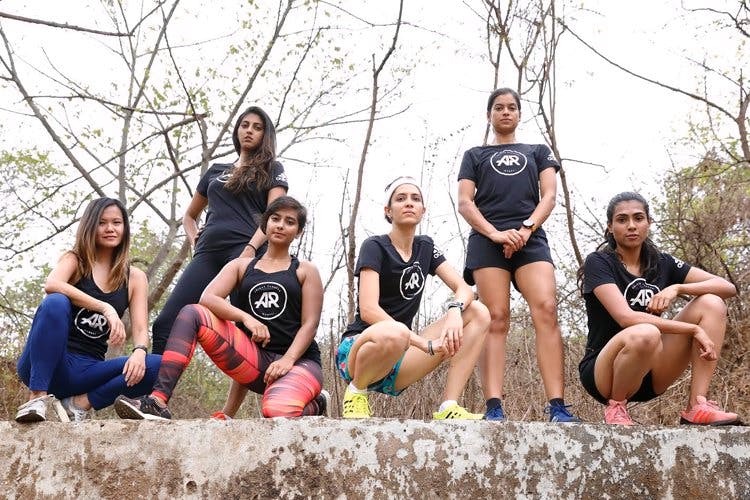 Join adidas Runners here and follow their journeys: Saiyami Kher, Ayesha Billimoria, Devika Patel and Freishia Bomanbehram for exciting updates and information.